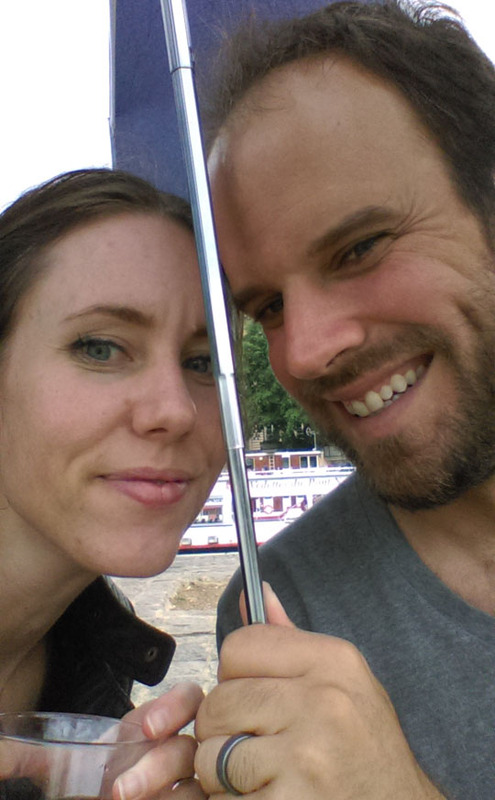 It'd been a few years since we took off for a few months in Europe, and we decided it was time. 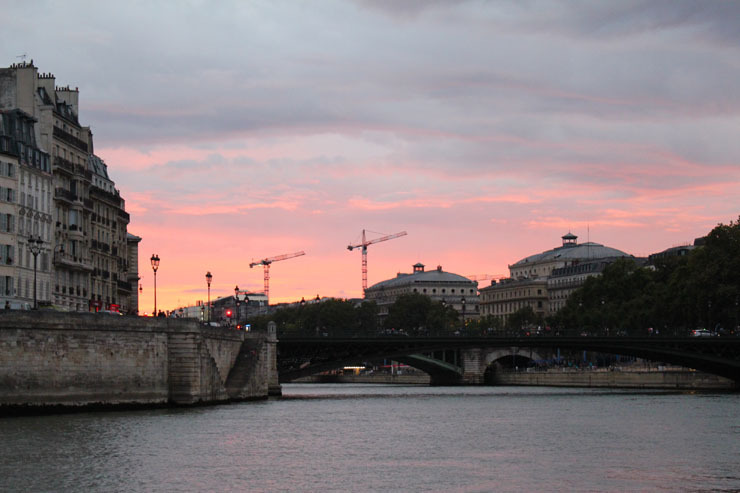 We immediately knew we wanted to do Paris again, as it is one of our favorite places in the world. But as always, we spent a few days in New York on our way there. 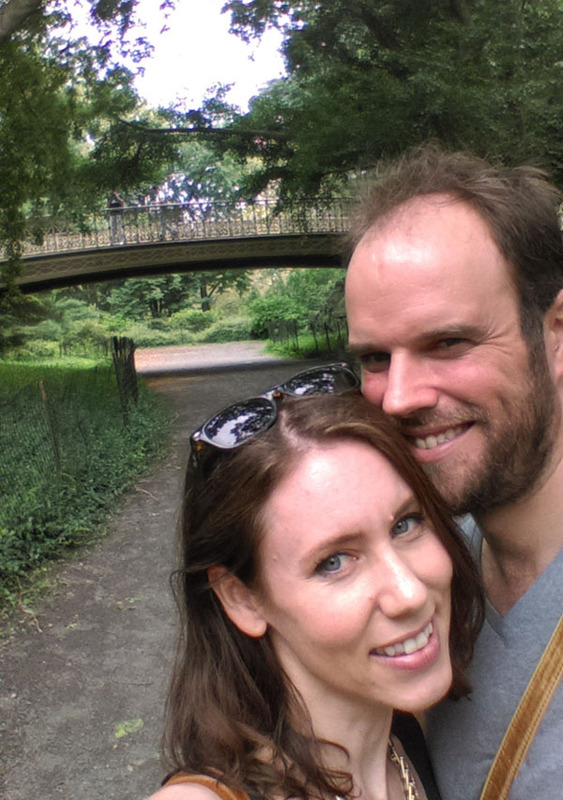 Stopping to enjoy Central Park (and catch some Pokemon) while waiting for our flight. 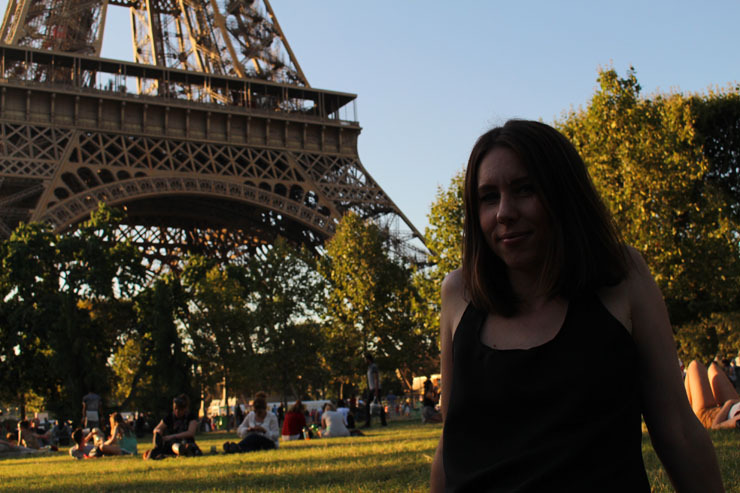 For this trip we found an apartment in the Latin Quarter of Paris. Last time we were in Paris we stayed in the Marais, which was really nice, but this is much more centrally located, with the river only a block away. From the map before we left, we could tell we were in the heart of the city, but on arrival we saw just how true that was. Out one of our windows we look at the Pantheon and if we had a window on the other side, we'd look directly at Notre Dame. The place is on the seventh floor, so we also get a daily stair climbing workout. If Andrew pops out to grab one beer, he really earns it by the time he makes it back up to our place. One thing we love about Paris is the history around every corner. 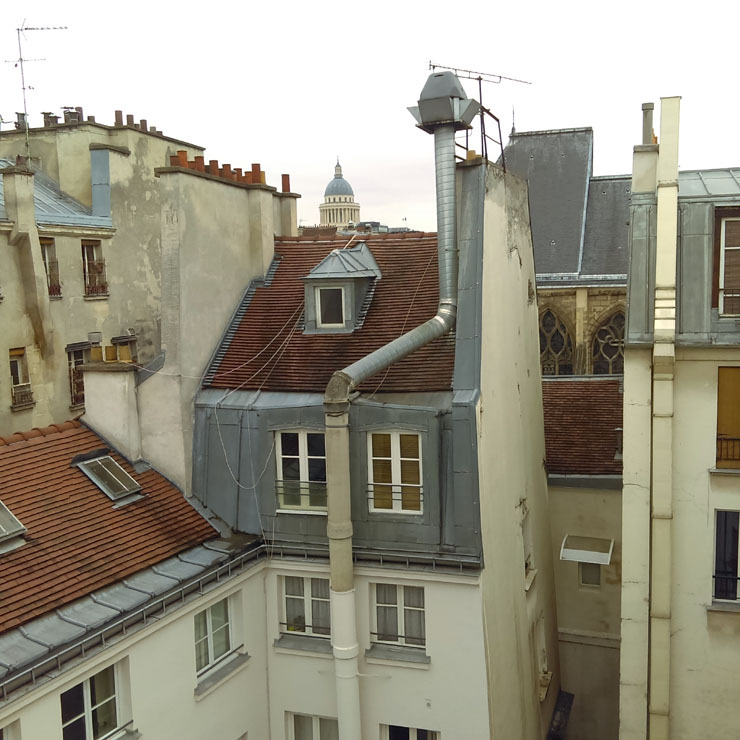 At this apartment, we are right across the street from the Saint Severin church. It was built in the 1300s on the site of the hermitage of the 12th century saint named Severin. He is known for helping Christianity spread through what wold become the French region, because during his time, France was still ruled by barbarian kings. 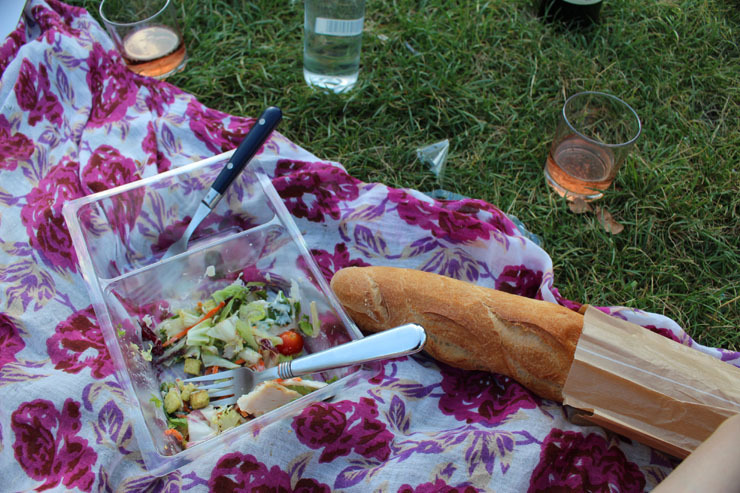 Our first few days in Paris were overcast and rainy, but it didn't stop us from our customary dinner on the Seine every night--we just had to be better prepared. but when the rain got worse, we had to retreat under a tree. 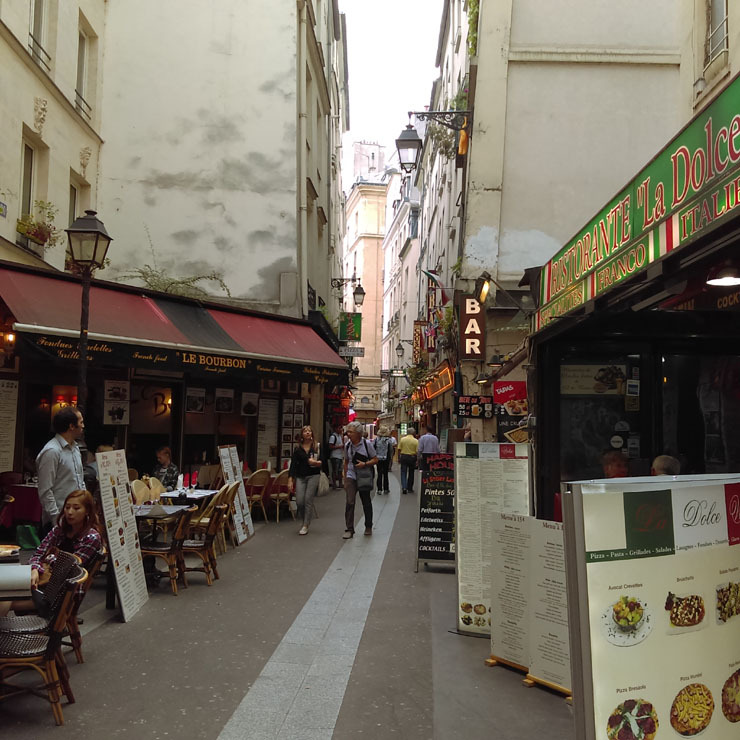 The street our place is on in the Latin Quarter. A lot of university students live here, and it's also very touristy, so there's a lot going on. The Olympics are going on while we're here, so if we want to watch any of the events, we have to head out to the bars and find one showing them. 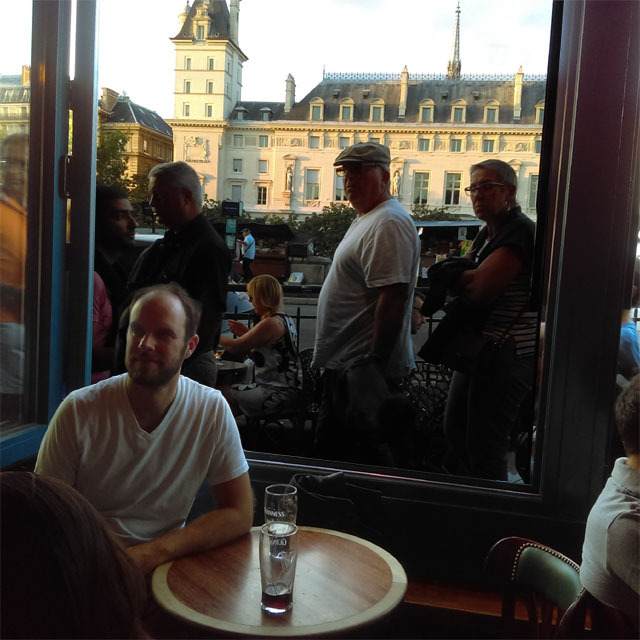 Luckily we found a nice little Irish pub right on the Seine that has good beer and lots of TVs. The first thing we watched was the Men's Cycling Road Race, and it didn't let us down. With multiple crashes and a two-way sprint for the finish line, it was well worth the trip. Watching the Olympic Men's Road Race with not your normal view out the pub windows. Our dinner view from a riverside picnic one night. 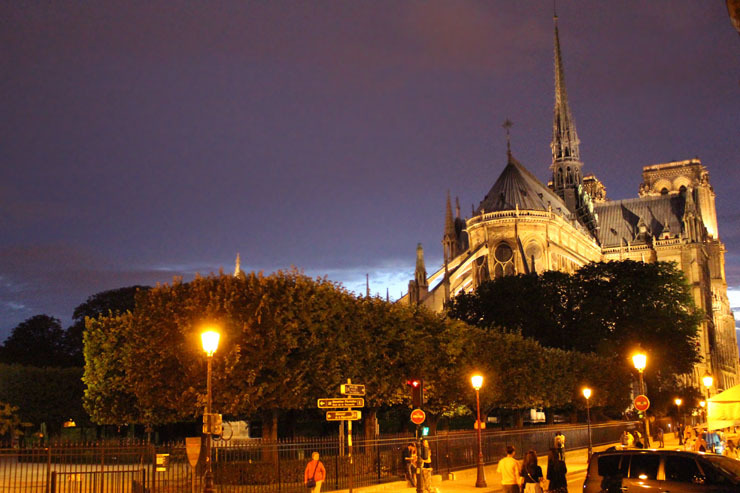 A view of the backside of Notre Dame while walking home from dinner on the river. 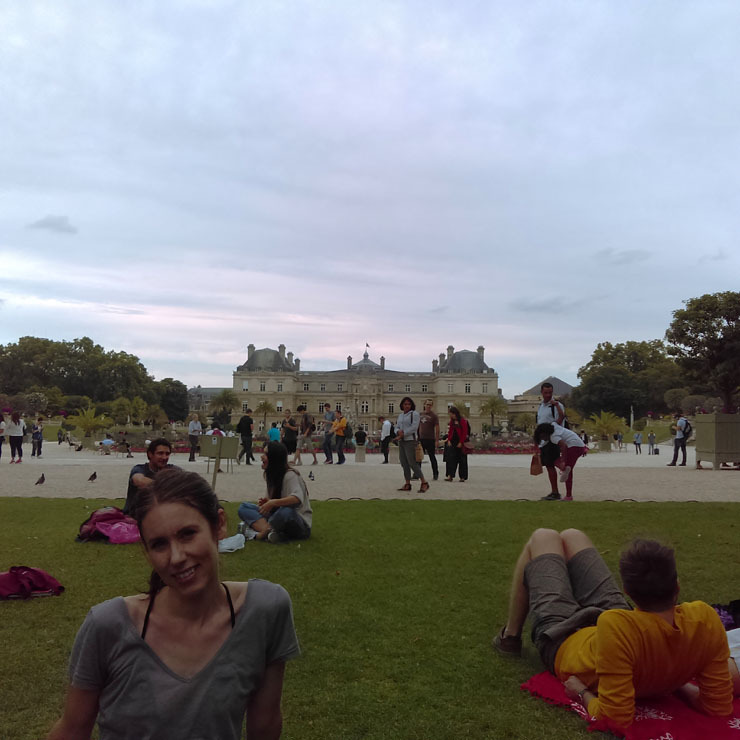 We took a night off from the river and ate at the Luxembourg Gardens just a few blocks from our place, where Maggie could go for a jog before we ate. On the first Sunday of every month, the museums are free all around Paris. 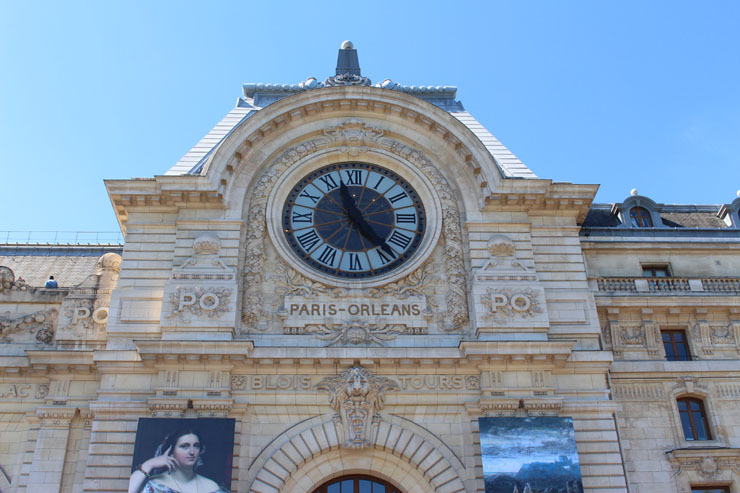 So, our first Sunday, we headed out for a day at the Musee d'Orsay and the Pompidou. We'd been to both of the museums before, but you can never get enough Van Gogh and Monet at the d'Orsay, and it's always nice to see what they're calling modern art these days at the Pomidou. 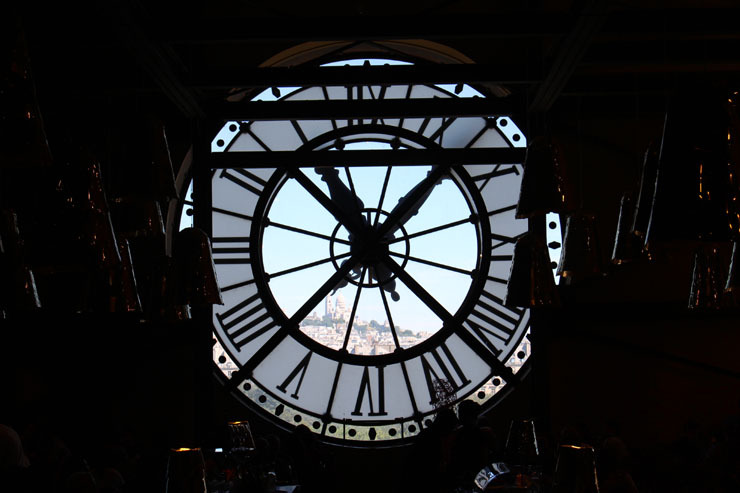 View of the Sacre Coeur from the inside of the d'Orsay. Panoramic view of Paris from the Pomidou (Click to enlarge). One Paris landmark our place isn't as close to is the Eiffel Tower, so one night we decided to rent Velibs (public bicycles) and take our dinner down there. It's a nice ride along the river and only takes twenty minutes or so. 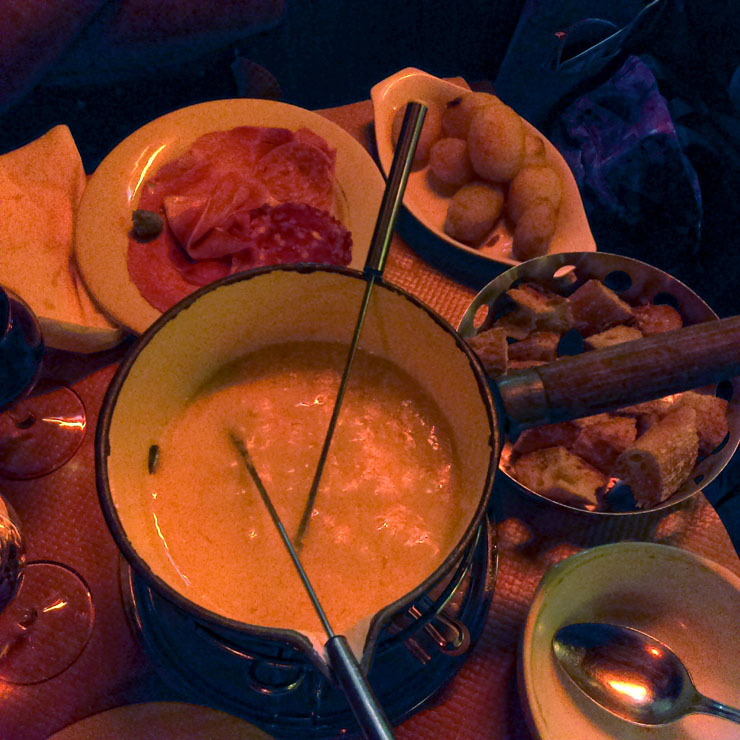 While we're eating by the river we usually just picnic, but we have a lot of fondue restaurants around us in the Latin Quarter, so we decided to give one a go. It was enough cheese to kill even a Wisconsiner, but we slowly made our way through it and went home with an expanding waist line. Our Fondue and the many things to dip in it. Maggie found a Flea Market on the outskirts of the main city that she wanted to go to. We could have taken a subway to get there, but Velibs sounded like more fun. 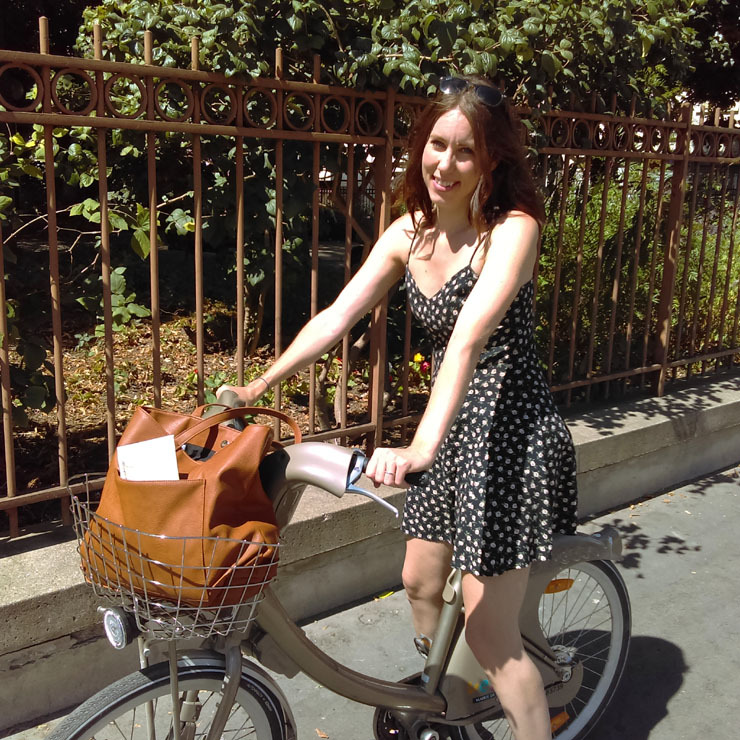 It was about a half an hour ride, but through a part of Paris we had never been to. 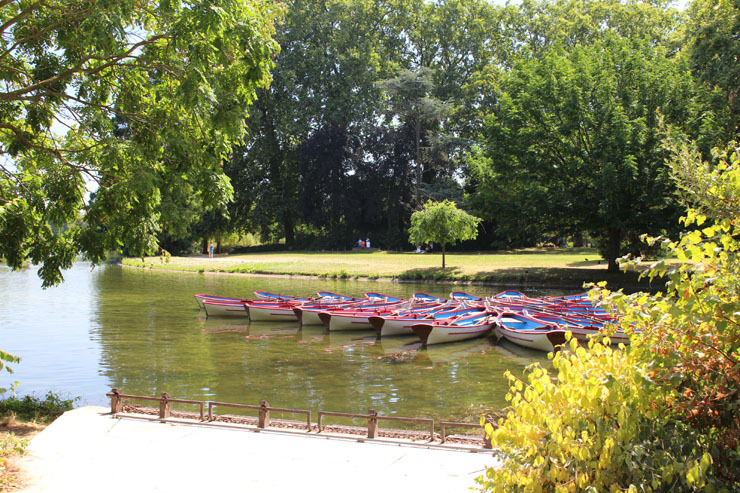 After the market, we saw we were close to one of the largest parks in Paris, Bois de Vincennes, so we decided to ride the bikes down to it and check it out. 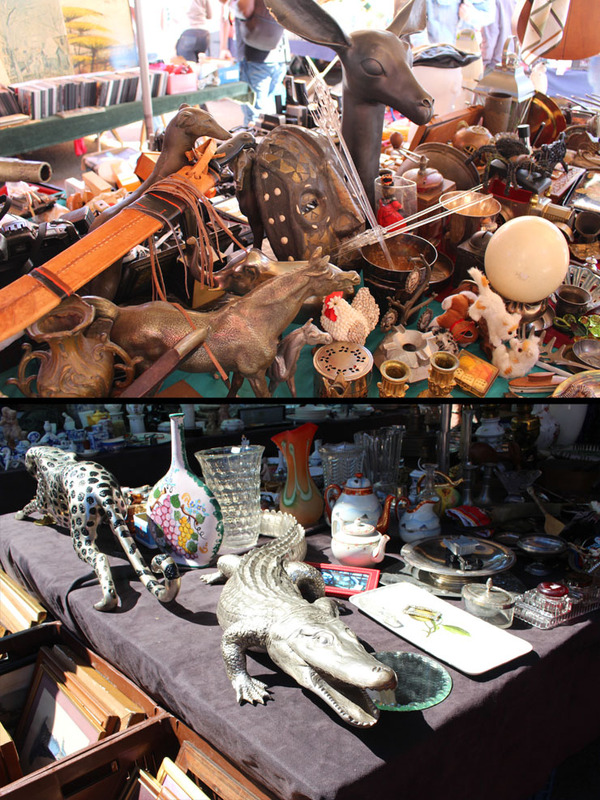 Some of the antique wares being sold at the Flea Market. We didn't buy much at the flea market, but we did find this little guy and named him Petit Napoleon. 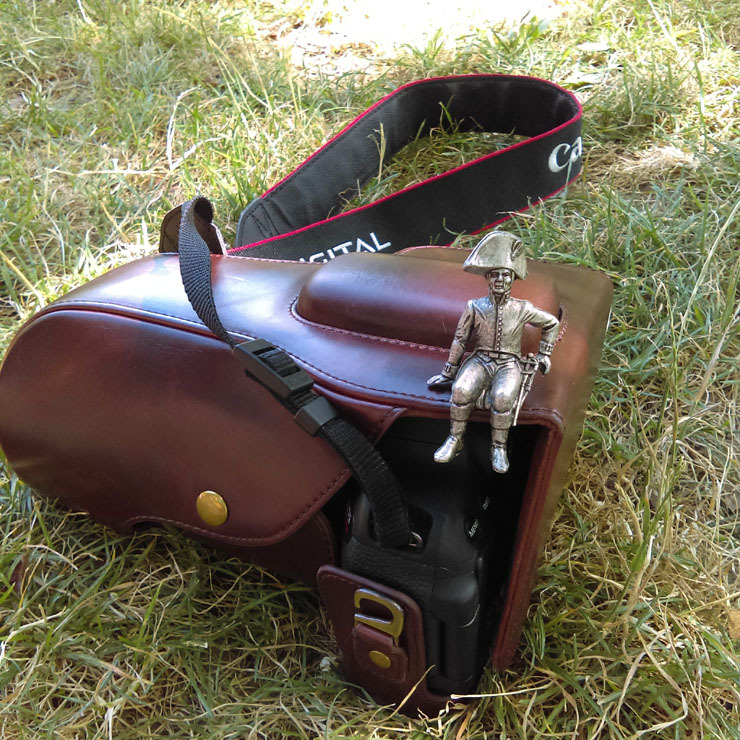 Petit Napoleon is very at home on your camera bag. He seems the sort who can make himself at home anywhere - pretty much like you guys.